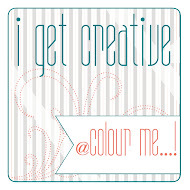 This card is for Mojo Monday 373 Sketch Challenge and Color Throwdown 320. I've been wanting to make the christmas-y drink from Happy Hour for some time now. I like the way it turned out. My son was bouncing a ball in the house and of course it bounced right on my card and bent it up right before I took the photo of it. Shoot! LOL! 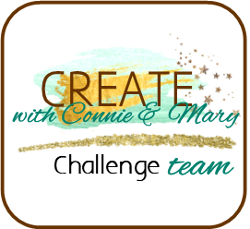 Today's card is for Fusion Challenge and Merry Monday 136. I used the sketch (kinda loosely) and sparkle from Fusion and did the red, green, and white from Merry Monday. I added in a little Early Espresso to tie in my sentiment.....I consider Early Espresso a neutral, I guess! The wreath is from last years holiday catalog...the one that doesn't have a matching die! I didn't purchase this years wreath. You know that saying imitation is the sincerest form of flattery? Well, when I saw this card by Heidi Baks I fell in love with it and just had to give the technique a try for myself. She wonderfully executed the technique and her inspiration picture. Here is a link to the Northern Lights tutorial, so you can give it a try for yourself....it's so fun! 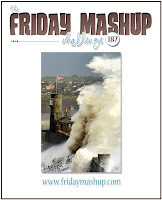 Anyway, I'm gonna be a copy cat and submit my card to the Friday Mashup 187 weather challenge. I like it when I can be original, but sometimes when something is just so good, you gotta follow the trend! This card was made for Just Add Ink 241, which was a really fun, versatile sketch. I started off with the color combo. I wanted to do something other that the ordinary christmas colors. The colors are kinda beachy, I think, which totally contradicts the snowflakes. Lol! I do like the way it turned out though! Today's card is for CAS(E) This Sketch 101. I can't recall that I've ever played along at CAS(E) before, simply because I don't consider myself a clean and simple style card maker. More is better is my motto, in fact often times I'll look at my finished card and think, "what else can I add?" LOL! I know there are those of you out there that can relate to me!!! This card all started with the piece of All Is Calm DSP that was laying on my desk. I cut the snowflake out of the center and used it on another project. I'm always a sucker for a black and silver Christmas card....it comes off so elegant! That's the direction I took here. I stamped and silver embossed the coordinating snowflake from Letterpress Winter into the center of my DSP. For the MERRY, after I cut it out with the Expressions Thinlits die in white cardstock, I inked it with versamark, spinkled it with Heat and Stick powder and then sprinkled it again with silver glitter. After all that I realized I probably could have just cut the MERRY out of Silver Glimmer paper. Oh well! A little silver ribbon and a rhinestone finish off this CAS project. This card is for The Paper Players Challenge #221, a color challenge consisting of Cherry Cobbler, Very Vanilla, and Mossy Meadow. Also, Just Add Ink #240 calls for adding texture. My colors are fudged a slight bit. I had this Snowflake Thinlits card already cut in Old Olive.....another one of those situations where something is laying on the desk just waiting to be used. I saw that the santa and sleigh stamp from Holiday Home fit nicely within the snowflake, so that's the direction I went. I decided I wanted to create a nice little snowy scene. I used patterned paper from the Trim the Tree paper stack and a DSP pack from a couple seasons ago called Season Of Style. They both had a white background, so instead of Very Vanilla, I've got Whisper White. I added sparkle (because frankly what is a holiday card without some sparkle, right?) in the form of Dazzling Diamonds and Silver glimmer paper. I punched some stars with the new Confetti Stars punch out of Silver glimmer and glued them onto the sky. For the snow, I cut an extra snowflake out of the Dazzling Diamonds glimmer paper and trimmed it up to look like snowbanks. This is where the texture comes in for the Just Add Ink challenge. For the back of the snowflake, I added a couple of circles and stamped "Believe" from Good Greeting, and the little tree from Holiday Home, then added another punched star. This card is for Merry Monday 134, which challenges us to use an ornament and silver and blue colors. 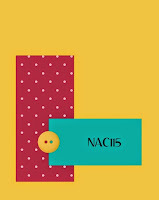 I also used the sketch from Nacho Average Challenge 115. I flipped the sketch around on it's side. For the blue colors, I went with Island Indigo and Pool Party DSP from the last years Winter Frost pack. Island Indigo and Pool Party sound more summery than winter, LOL! 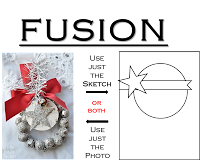 I looked around to see what I had for ornament stamps and the only thing I could come up with was the little one that comes in the Ornamental Pine set. I embossed it with silver embossing powder and hung it from some Smokey Slate ribbon with a Frosted Finish embellishment at the top. I used a sentiment from More Merry Messages that I thought went perfect with an ornament card. The November edition of the Paper Crafters Sampler has arrived! The ladies have outdone themselves this time with their projects! It's all about the holidays with this months theme. We have snowflakes and star ornaments, a polar bear and deer, and snowmen and hot cocoa. You'll get full instructions on how to re-create my card as well as the other projects my fellow designers made. Penguins are my very favorite animal in the world and I've been wanting to paper piece this little guy for a long time. For this card I used the color combo from Create With Connie and Mary 328 and the sketch from Retro Sketches 139. I just love this sketch! Most people must have because there are a lot of entries there this week! 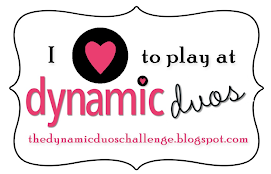 I had hoped to play along and I'm making my submission just under the wire! I thought the combo at CCM this week was perfect for my penguin. I used some fun paper from the Trim The Tree paper stack. I also incorporated some of the All Is Calm DSP. 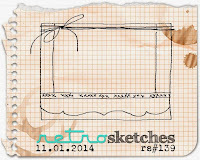 Merry Monday 133, The Challenge #18, and Freshly Made Sketches 161. I actually forgot that The Challenge comes with a built in sketch and I used the sketch from Freshly Made Sketches. Merry Monday's challenge was to make a rustic card using browns and creams. 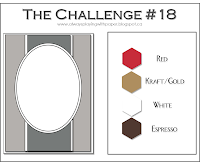 I threw a little red in there for good measure and that incorporated The Challenge #18! For this card, I actually embossed the little snowflakes that go with White Christmas, but you can't see them in the photograph. I used to have the perfect light in my kitchen for taking pictures of my card, but we are remodeling and my light went away. I'm trying to experiment with different lights in different spaces. Nothing is working as good as my old one, which I'm bummed about. I will figure something out eventually, I guess! I also used my Signo gel pen to add some snow to the trees and house. I love this cute little scene! Holiday Home and White Christmas compliment each other nicely and are fun to use together. The little snowflake in the corner is a Momenta cut & emboss die that is from Hobby Lobby. Ink: Tuxedo Black Memento, Early Espresso, Crumb Cake, Daffodil Delight & Crumb Cake Blendabilities. Accessories: Homemade Holiday Framelits, Woven satin ribbon, naturals buttons, gel pen, linen thread, dimensionals, Momenta cut & emboss die. This wonderful little gem is a CASE of Jan Tink's amazing card. I've never made a step card, nor was I ever very interested until I saw hers. The Holiday Home set was simply made to do one of these cards....especially because it has all the coordinating dies! :) It was one of the sets that I just had to have the moment I laid eyes on it! I've always been a fan of pink and blue together for Christmas, and thought that this might look kinda cute in a more Victorian type of theme, so I chose to work with softer colors. Jan's card is bright and cheerful and has a lot of razz-a-ma-tazz. Make sure you check her's out! Also, although the card looks complicated, it came together super fast. Fussy cutting the trees probably took the most time. If you haven't ever tried a step card, here's a link to a great step-by-step tutorial. It's way easier to put together than it looks. I had such fun making this card and thanks to Jan for the inspiration! Accessories: Homemade Holiday Framelits, Blushing Bride cotton ribbon, 1/4" circle punch, 1/8" circle punch.